An economic analysis commissioned by Enterprise Rent-A-Car finds that the total cost of driving that car in your garage is 12 cents per mile more than renting a vehicle at Enterprise Rent-A-Car’s $9.99 a day weekend rate. The $9.99 rate applies to economy and compact cars. The study, by Brett Smith, co-director of manufacturing, engineering and technology for the Center for Automotive Research, factored in the hidden costs associated with the added wear and tear on the owned vehicle and the impact of those extra miles on depreciation. Enterprise Rent-A-Car caters to “weekend getaway” drivers who need a different size or type of vehicle than the one they use for their daily commute. 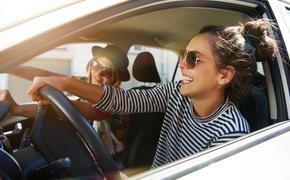 For consumers with older model cars, renting also can be the key to worry-free summer travel.